Similar Balls: Same Hook Potential, Lane Conditions & Coverstock as the Hammer Rip'D Pearl. The new Hammer Rip'D Pearl is a great compliment to the Hammer Rip'd series. The Rip'd Pearl is great for the wet/dry conditions of a lot of league patterns. The pearl blends out the patterns very well. Good midlane roll with smooth predictable back end motion. This is must ball from Hammer. I really like the Rip'd Solid and Hybrid so I was exciting to try the Pearl. I knew it would be a little less on reaction than the other 2 just because of the pearl in it. I went with a very close to my hand layout meaning whatever I do off my hand will dictate what I see out of the ball. I used a 65 x 5 x 45 layout on this ball which put the pin over the ring finger. First impressions of this ball is that it gives me the most back end motion out of the Rip'd series. It's not a skip flip reaction, but the ball does clear the front well, and gives a strong heavy roll reaction on the back end. This ball will be great on med/hvy oil conditions. You can watch this ball in action on Tamer Bowling Reviews on YouTube. With a layout of 45*4.5*35 this ball gives my great length and good mid lane read. It explodes off the end of the oil which gives my a high carry percentage. Ball speed sweat spot is between 17.8 and 18.3 with a rev rate around 480. The 3000 abralon finish helps this ball give a good read in the mid lane. Going to knock it down to 2000 to see what reaction I get from it then. 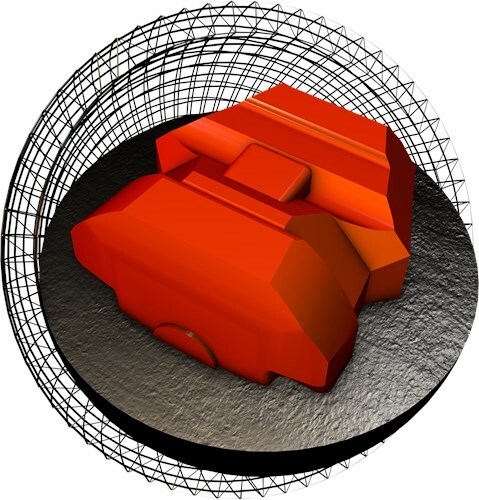 This core is very driller friendly and versatile to many different oil patterns. Its a REALLY good ball for a typical house shot for all 3 games. Once they break down on tougher patterns this ball will give you great control and motion. The New Rip'd Pearl fits in between the Rip'd Solid and Rip'd releases perfectly! It provides a cleaner ball motion than the Solid, but picks up slightly before the Rip'd for a great compliment when you need an "in between" reaction. For a pearl ball, it has enough traction to handle heavier volumes of oil and is very versatile across the entire lane. Here is my take on the new Hammer Rip'd Pearl. The core used is the same core as the other 2 releases in the Rip'd Series. The difference is the coverstock and in this new release, the coverstock used is the Aggression Pearl CFI finished at 3000 Abralon. The ball comes with a 3 year warranty and is colored in blue/gold/and light blue. My "vitals" are a 405 rev rate with a PAP of 5 9/16 over and 1/8 up. I drilled mine with a 40 x 4 x 20 layout and threw it at box surface. I have tried the new Rip'd Pearl on THS, and modified USBC White. My general sense is that the Rip'd series excels when straighter angles are able to be used through the front part of the lane. Thus, the Rip'd Pearl, even with the 3000 Abralon finish, still clears the fronts efficiently. However, because of the finishing process, the ball will reads aggressively the mid lane and make a strong move off the spot. Again, my best looks with the Rip'd series has been when I can be straighter through the front. Thus, if you have a medium volume pattern this Rip'd Pearl should be in play on fresh on different pattern distances. When the lanes transition and you need to go more left to right, I prefer using either a gas mask core ball like the Widow B/G or a stronger symmetrical core ball. See your local proshop for more information about the new Rip'd Pearl by Hammer! BOUGHT THE FIRST ONE AVAILABLE. GOES GOOD WITH MY RIP-D SOLID. GOES LONG AND THEN REALLY TURNS LEFT TO THE POCKET..........LOVE IT SO FAR....!!! What core does the 13 lb. have? Yes, since this ball is a high performance ball, this ball will have a high hooking power. im a down and in player i usually throw it on two or three would it come back to the pocket? This ball is a high performance ball so it will definitely come back and have a strong sharp backend reaction. This ball will be much more aggressive for it is a high performance ball and the Black Widow Gold is an upper mid performance ball. 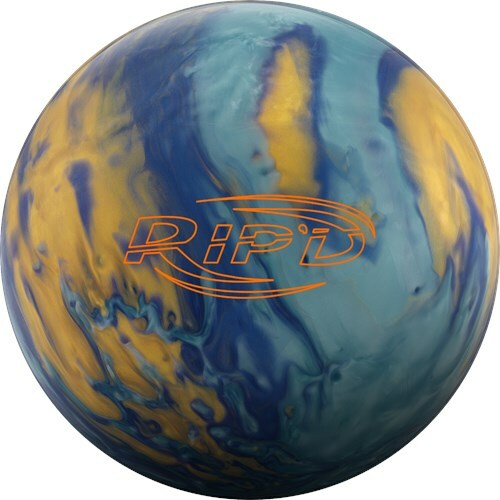 Due to the time it takes to produce the Hammer Rip'D Pearl ball it will ship in immediately. We cannot ship this ball outside the United States.